If the movies (and street preachers) are to be believed, the end is clearly nigh. It may be the one thing Hollywood and the religious right have in common. But religious conviction has little to do with filmmakers' fascination with the end times - disasters sell tickets. On a more personal level, however, they're a perfect vessel for exploring the deepest recesses of human emotions. Recent films like Lars von Trier's Melancholia have used the end of the world to explore the roots of depression, while movies like Steven Soderbergh's Contagion takes a more real world approach to the all-too-plausible scenario of a global pandemic. David Mackenzie's Perfect Sense combines those two approaches, the plausible and the poetic, and turns it into something at once beautiful and frightening, deeply romantic and daringly bleak. Eva Green as “Susan”and Ewan McGregor as “Michael” in PERFECT SENSE, directed by David Mackenzie. Photo by Neil Davidson. An IFC Films Release. The world is slowly beginning to fall apart. A mysterious disease is causing people to lose their sense of taste. It seems minor at first, but the sudden loss of smell causes people to panic. 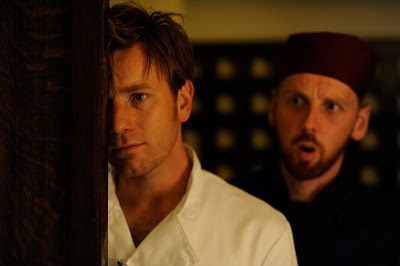 Amid this growing chaos, a scientist named Susan (Eva Green) meets a young chef named Michael (Ewan McGregor), and the two quickly become each other's shelter in the storm. Susan is one of the first scientists to study the mysterious disease, which has no known cause or mode of transmission. Unable to stop its spread or explain its origins, governments offer empty platitudes in order to calm panicking citizens. But then the disease begins to change. Soon people have not only lost their sense of smell, but their sense of taste as well. And then their hearing. And then finally their eyesight. As the world crumbles around them, Susan and Michael are all each other has. With their senses slowly fading, the only feeling that holds any meaning is love. Ewan McGregor and Ewen Bremner in PERFECT SENSE, directed by David Mackenzie. Less obtuse than Melancholia and more emotionally astute than Contagion, Perfect Sense is a poetic examination of love in the face of great trauma. It taps into our deepest fears as well as our deepest desires. Deeper than that, however, it's look at the strength of emotions when all other senses fail. Deprived of the senses that they take for granted on a daily basis, the only thing left is love. It may sound a bit cheesy, but Mackenzie (who also directed McGregor in Young Adam with Tilda Swinton) deftly avoids any kind of cheap sentiment. He walks a fine line between lyricism and realism, real world drama and metaphorical emotionalism, never skirting too far into either territory. McGregor and Green make for an attractive couple, and their chemistry drives the film (along with some surprisingly non-gimmicky narration by Green). Their relationship may seem to come about a little too suddenly, but once it's established it provides the film with a powerful, beating heart. It's a romance at the end of the world without the hoary cliches that so often accompany such stories. It's not so much a story of how love conquers all, but how they relate to the world around them, and how it relates to them. When everything fades away, be it through a mysterious disease or through age, all that matters are the people we have left. Perfect Sense conveys this theme with quiet grace, giving us a refreshingly original vision of a theme movies have been playing on for ages. Now, here at the "real" end of the world, they've finally gotten it right. 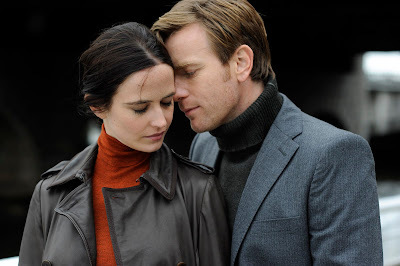 PERFECT SENSE | Directed by David Mackenzie | Stars Ewan McGregor, Eva Green , Ewen Bremner, Connie Nielsen, Stephen Dillane | Not rated | Now playing in NYC and IFC On Demand.